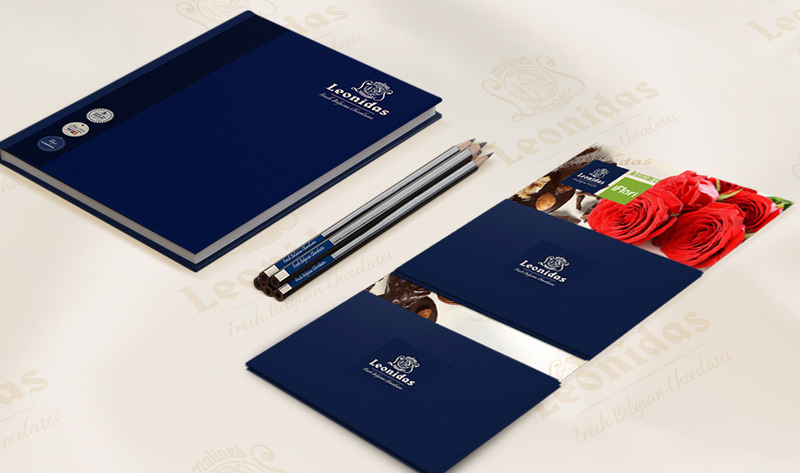 Leonidas Romania is the franchise of the well-known belgian chocolate brand. With a history of over 100 years, Leonidas is placed among the highest rated brands of chocolate due to its quality and making process. 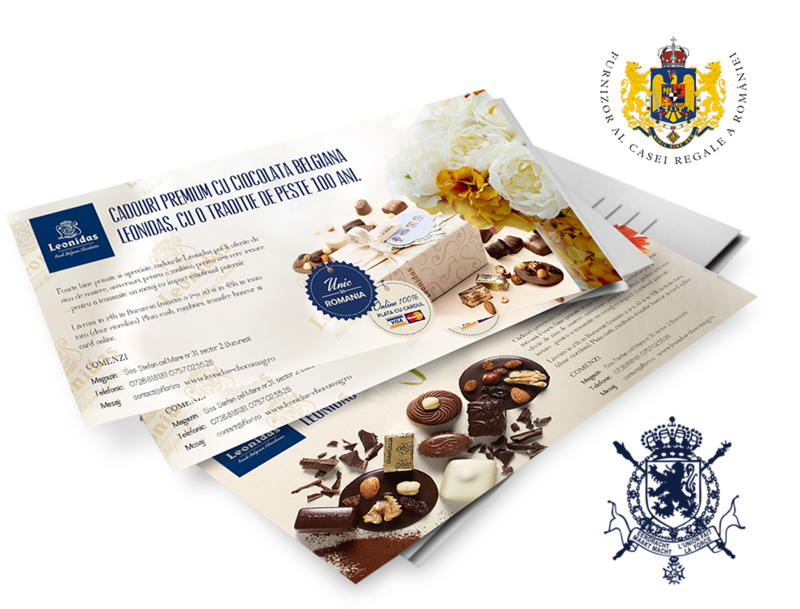 In 2012 it was declared the chocolate supplier for the Romanian Royal House. During the whole campaign I worked closely with the Branding & Product Department. 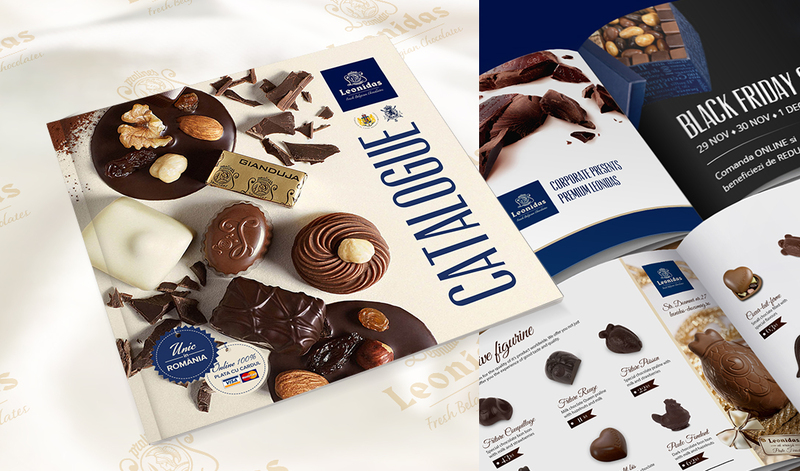 Every season, Leonidas presents all chocolate product through print materials. Chocolate's taste and shapes are designed depending on the time of the year: Christmas & Eastern chocolate comes in specific ways and between these holidays, there is always an occasion to be celebrated with new products. Design line for stationery products is simple & corporate and very easy to associate with every print campaign. To find the right colors I used the mood board technic. Warm colors, complementary to that tastefully dark brown chocolate was a way to go. A golden touch was added just to the important details.